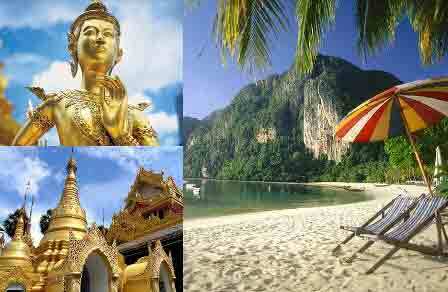 The city is famous for her friendly people, beautiful women,cool climate and stunning mountain scenery. More than three-hundred temples, among them some of the most beautiful and revered in the entire Buddhist world, give the city an atmosphere of calmness and timeless elegance. Visit is made to Wat Suan Dok temple built by King Kuna, chiang Man temple, the oldest temple in Chiangmai, built by King Meng. Drive around the old City to see the City Moat and Ruined City Gate. Continue to visit the largest central market, Wororot Market. Visit the most sacred WatPhathat Doi Suthep, built in 1383, See the marvelous golden pagoda which contains the relice of the Lord Buddha and wellas enjoy a panoramic view of Chiangmai City. Continue by truck along the mountain and bumpy road to visit White Meo Hilltribe villages, where one can meet the local villagers and witness their simple lifestyle. Visit the most sacred Wat PrathatDoi Suthep. 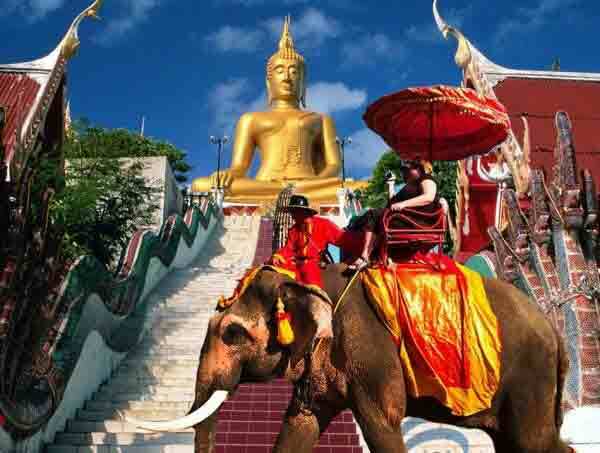 See the marvelous golden pagoda and Wat suan Dok Temple. This is excursion to the famous Maesa – 30Km from the City. This tour will teach you all about Elephants. See how they take their baths, mahouts teaching elephants to drag logs, respond to commands and working in the jungle.